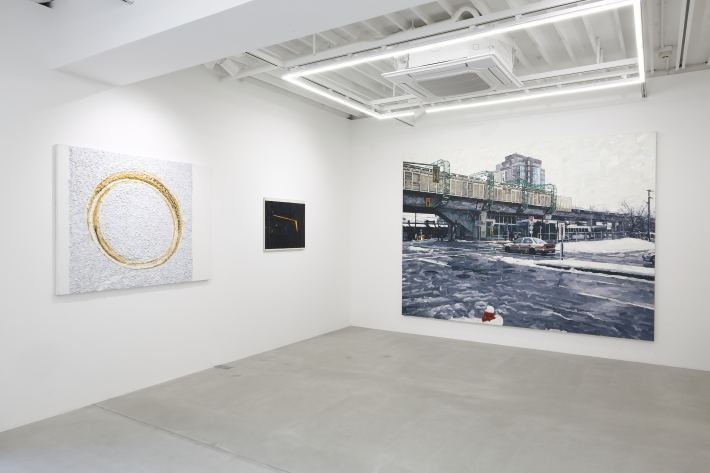 installation view of "suburban boy"
MAHO KUBOTA GALLERY is delighted to announce an exhibition of new works by young painter Naoki Tomita, opening on May 10, 2016. This exhibition, entitled “suburban boy,” features new oil paintings, both large and small, of suburban roadside scenes, and of the faces of freeters—young people without regular jobs. Born in Ibaraki prefecture, Japan in 1983, Tomita graduated in Fine and Applied Arts from the Kyoto University of Art & Design in 2012, then completed a master’s degree in oil painting at Tokyo University of the Arts in 2015. Tomita’s technique of depicting his subjects on canvases with dense slabs of paint is highly distinctive, piling up layers so that the paint seems to be scraped up. The thickness of the paint enables it to pick up light and create shadows. 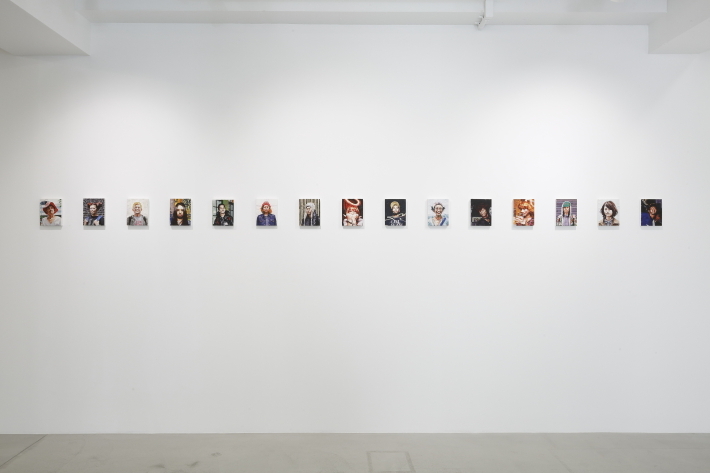 His No job series is one of his best-known, featuring the faces of young people known as freeters, people who have no fixed employment, finding casual jobs one after another through magazine ads. Tomita has also produced many paintings featuring scenes from the outskirts of major cities, the facades of empty stores, vacant rooms shown to the artist by real estate agents, and a ring without its wearer. Like the No job series, these works each present some sort of emptiness that can also be seen as depicting hope and the potential for something to begin. Instead of interpreting a neutral situation negatively as empty, Tomita is attempting to capture the light that seeps out. 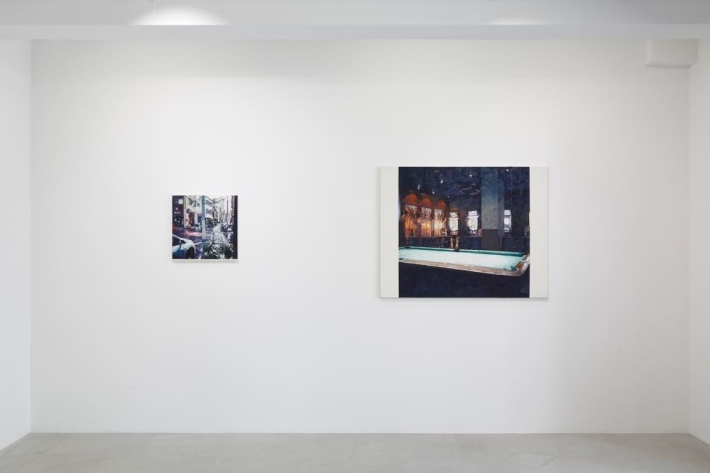 The artist’s own aspirations can be seen here and there in these works, but perhaps the paintings can also be taken as depicting personal experiences of loss that underlie those wishes. Five years ago, the 2010s brought an unparalleled disaster to Tohoku area, Japan, and the ongoing losses are still overbearing, affecting our day to day existence. 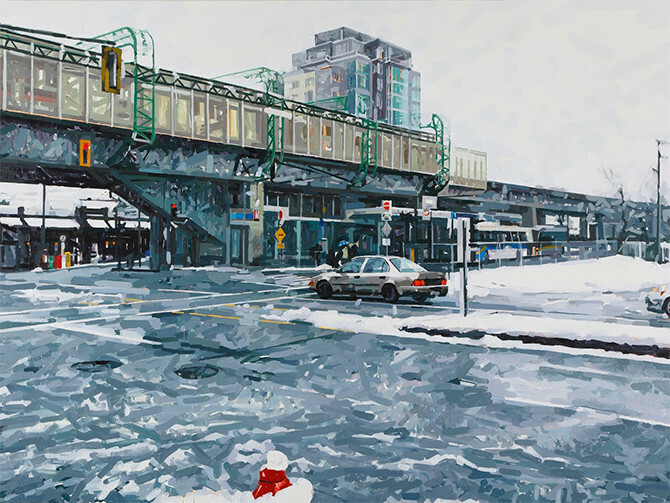 Although presenting a world that could be fictional, by suggesting a hidden message of revitalization and hope for the 2010s from one of Japan’s lost generations, Naoki Tomita’s oil paintings have a reality that touches the hearts and minds of viewers. That reality is communicated by the dazzling impression that results from the thickness of the physical matière of the paint carrying shade as well as light, bringing a contrast like that between loss and hope.